So, what’s it like to celebrate Christmas in a town where it’s Christmas every day? In a word, magical. Welcome to the Santa Claus House in North Pole, Alaska. For 60 years, the Miller family has been celebrating Christmas every day of the year. More than just a store, it is a place to immerse yourself in the joy that is usually reserved for the few weeks surrounding December 25th. But what is it like to during the holiday season? Well, it’s extra Christmasy! There’s Santa. I mean THE Santa at the North Pole. People come from all over the world to see the North Pole Santa. He welcomes visitors from 9 days old to 109 years young. Oh sure, there’s a little bit of a wait, and the Santa line can get crowded at Christmas, but the folks at the Santa Claus House have been arranging Santa visits for 60 years. The wait is worth it. Families come year after year to have their picture taken. Families come to carefully select their annual ornament. Instead of shelves and racks, ornaments are displayed the way they are supposed to be – on Christmas trees! Even the teddy bears are dressed for the holiday season. There’s coffee from the North Pole Roastery, featuring my favorite, the North Pole blend. For the more adventurous, try the elves’ blend. Coffee roasted with (I kid you not) syrup on the beans – because elves love sweets! The coffee elves can also whip you up a Polar Bear or SCH Birthday Coffee. There’s also fudge! Did I mention the Santa Claus House makes their own fudge…from scratch…with butter and cream and all the sweet stuff Christmas dreams are made of. Come the right time of day, and the smell of brewing coffee and mixing fudge will convince you passed through Christmas on the way to sugar heaven. The ghost of Christmases past still lingers as well. There is 60 years worth of Christmas and Alaska memorabilia in display cases throughout the store. 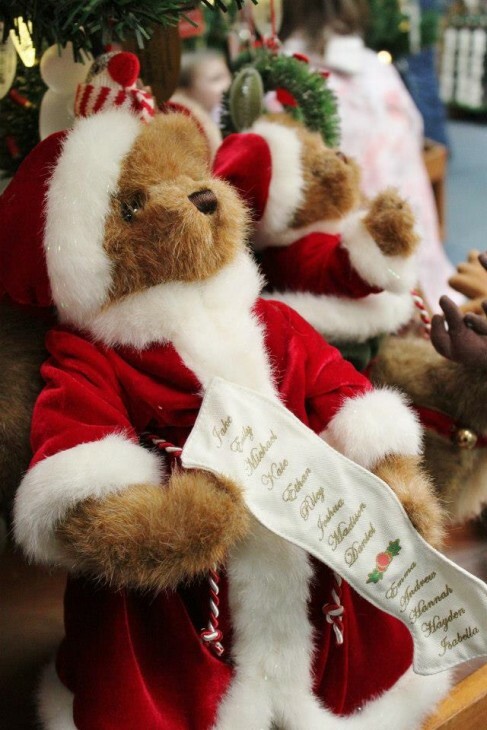 Your kids won’t understand, but you are going to love the Santa Mouse, Charlie’s Angel dolls, original Ragedy Anns, and even Dion Quintuplet Dolls. There’s native Alaskan art, and artifacts from before Alaska was, well Alaska. There’s a small herd of reindeer in their paddock outside, a giant Santa statue, and yes, even an actual North Pole. But I think the best part of visiting the Santa Claus House during Christmas is that everyone from the tall to the small is there to celebrate. They are there to enjoy the holiday season. 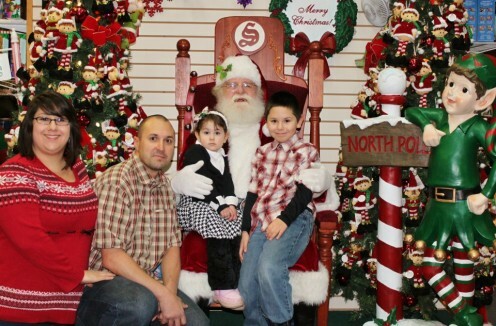 Adults bring their children to see Santa, and find themselves on his knee, sharing wishes of their own. When the twilight glitters on the snow, you’d swear for just a moment, you saw reindeer fly. People find themselves believing in the spirit of Christmas with the same joy as their children do. Then again…it could be all the elves’ blend coffee. *Special thanks to Cheryl Boothe for her photos. 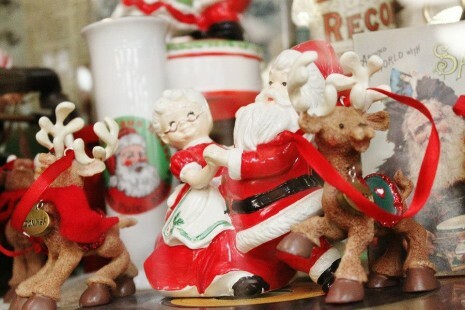 For more information on visiting the Santa Claus House, visit www.santaclaushouse.com.